← HURRY! Que-Mars Redath IN STOCK Loose On eBay! Let’s check out the Imperial Death Trooper from the Elite Series line. It’s nicely executed. Learn more in our Research Droids Reviews today! Be sure to leave your thoughts in our comments section, vote in the poll or even comment about it on our Facebook page. Click the banner below for the direct link to the review! As always, you can also send your review requests via email if you’d like to see something that we didn’t cover yet. The Imperial Death Trooper (VC127) gets repacked in The Vintage Collection. Check out our full Visual Guide below! You can also check out our thoughts on this addition to TVC wave 18 right here in our full review. NEW FIGURES! The Vintage Collection’s Imperial Death Trooper is the smartest repack in The Vintage Collection’s reboot to date. Keep figures LIKE THIS coming, Hasbro! Learn more in our Research Droids Reviews today! Be sure to leave your thoughts in our comments section, vote in the poll or even comment about it on our Facebook page. Click the banner below for the direct link to the review! As always, you can also send your review requests via email if you’d like to see something that we didn’t cover yet. As you know, we’re taking an intense look at The Vintage Collection wave 18. Through comments and emails, readers are asking me if the four carry-forward figures in this wave have taped bubbles (because the new figures do not). I thought I would answer that in the form of this post. No, the old carry-forward figures like Rey (Jakku) and Supreme Leader Snoke (and the others) DO NOT come with taped bubbles. It almost makes it worth buying these figures again, doesn’t it? I will try to add photographic evidence to this post later today for those that need visual proof. ← How Old Were You When Star Wars Episode IV: A New Hope Was Released? The Death Trooper Specialist Premium Format Figure is nice, but it’s too expensive. Learn more about it in our Research Droids Reviews today! Be sure to leave your thoughts in our comments section, vote in the poll or even comment about it on our Facebook page. Click the banner below for the direct link to the review! As always, you can also send your review requests via email if you’d like to see something that we didn’t cover yet. Pre-order The Former Walmart Exclusive 3.75" SA Scarif Stormtrooper Case! Wow! And here is the Scarif Stormtrooper assortment! You get THREE of them in this case! 3x Scarif Stormtrooper Squad Leader, 3x Captain Cassian Andor, 2x Imperial Death Trooper, 2x Sergeant Jyn Erso, 1x General Lando Calrissian, 1x Admiral Ackbar. Too bad there are too many other unnecessary figures in this case. Pre-order at Entertainment Earth now! By the way, is it just me, or is the absolute most inopportune time to put these up for pre-order. Half of this case will directly compete with The Vintage Collection repacks! ← WUT?! The Vintage Collection Captain Fordo Restocked By tunghori! We are continuing to look at some S.H. 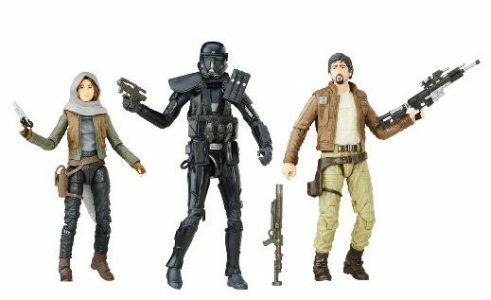 Figuarts figures from Rogue One. Click below for the Visual Guide of the 6″ Death Trooper. We also have a detailed review of this figure right here. It’s another home run hit! 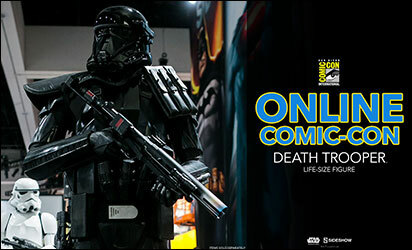 Check out the Death Trooper from the S.H. Figuarts line. See why you need at least one in our Research Droids Reviews today! Be sure to leave your thoughts in our comments section, vote in the poll or even comment about it on our Facebook page. Click the banner below for the direct link to the review! As always, you can also send your review requests via email if you’d like to see something that we didn’t cover yet. It’s our last review of 2017! The “Rogue One” 12-Inch Figure six-pack has some neat figures in it, but it feels more repetitious than anything else. It’s also the only way you can get K-2SO. Find out more in our Research Droids Reviews today! Be sure to leave your thoughts in our comments section, vote in the poll or even comment about it on our Facebook page. Click the banner below for the direct link to the review! As always, you can also send your review requests via email if you’d like to see something that we didn’t cover yet. 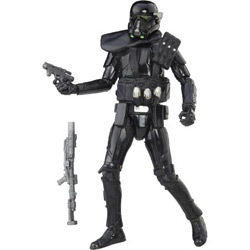 Imperial Death Trooper 6" Figure For $9.99! Wow! You want a cheap Imperial Death Trooper 6″ figure? 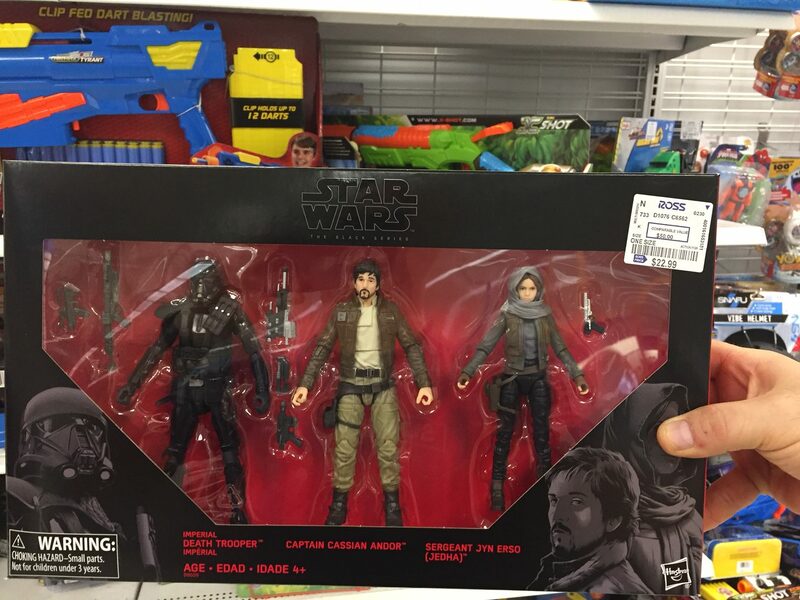 Hasbro Toy Shop’s eBay store has them marked for $9.99 with FREE shipping. Special thanks to JTA reader and friend Martin M. for the reminder! Hot Toys followed up their initial sixth scale Death Trooper release with the Death Trooper (Specialist) (Deluxe Version). Basically, you get the same Death Trooper with a slightly retooled helmet, and the deluxe version comes with some unique accessories. Click below to check out the full Visual Guide to see how this version differs from their initial release. ← TRU Exclusive TBS6 Clone Commander Gree Is Back In Stock! The Target Exclusive 3-pack has been showing up at discounted prices all over, but so far Ross seems to have the lowest price at $22. If you still need this, now is a good time to go take a look! Thanks to JTA readers Bryan and Merdock for the news. 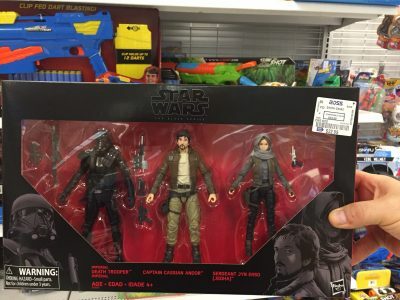 Target.com has put their The Black Series [P3] 6″ Rogue One 3-pack on clearance for $28.98. Might be a good time to grab it if you haven’t yet. You can also get free ship to store which will save on the shipping cost. Sideshow Collectibles is not holding back on their Life-Size figure collection! In addition to the gigantic K-2SO figure on display, Sideshow announced the addition of a Life-Size Death Trooper. Their Life-Size collection is taking collecting action figures to a whole new level! Click here for the preview page! The pre-order for this is coming soon for those that (of course) want to add this to their collection! ← Rey Monolopy Game Piece: Won't Be Included Due To "Insufficient Interest"
Hurry! Walmart Exclusive TBS [P3] 3.75" Death Trooper In Stock! If you still need The Black Series 3.75″ Imperial Death Trooper, now is the time to grab it! In case you need any of them, waves 8, 9 and 11 of The Black Series [Phase III] 6″ line are ALL hot off of the truck at Entertainment Earth! ← The Black Series [Star Wars 40] Jawa's Eyes Glow - Did You Know? The Rogue One Death Trooper and Shoretrooper are IN STOCK at Walmart online. Special thanks to JTA readers Mark M. and Matthew M. for the quick alerts!